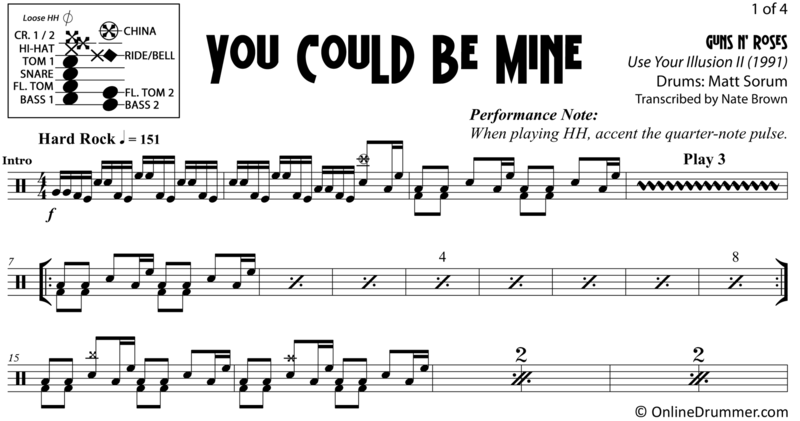 The full drum sheet music for “You Could Be Mine” by Guns N Roses from the album Use Your Illusion II (1991). 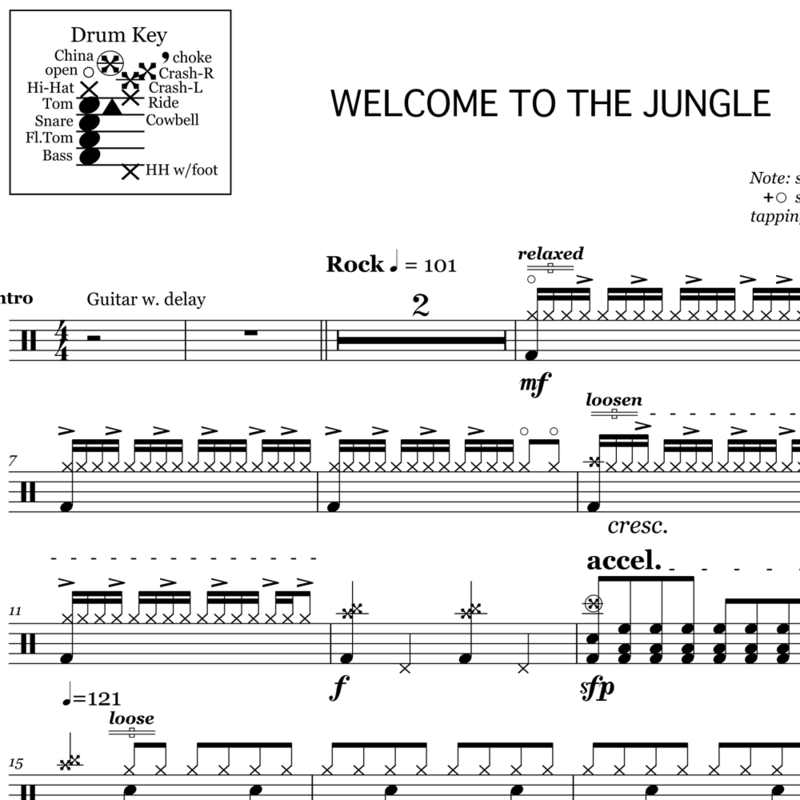 Jam along with Guns N Roses and Matt Sorum in this early ’90s, hard-rocking hit. 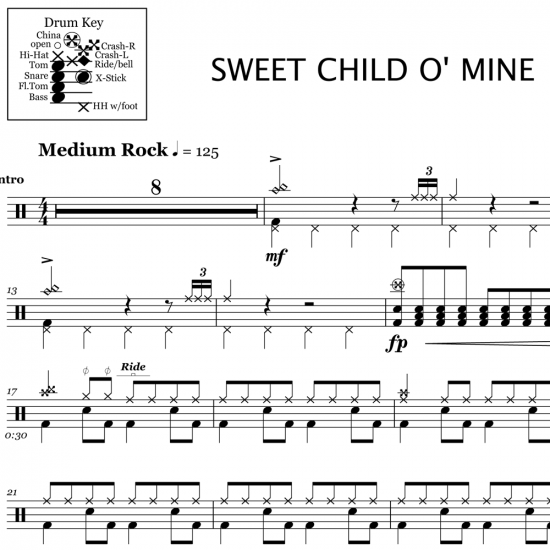 Sorum plays a “big drums” intro followed by nearly a minute of rock tom grooves. 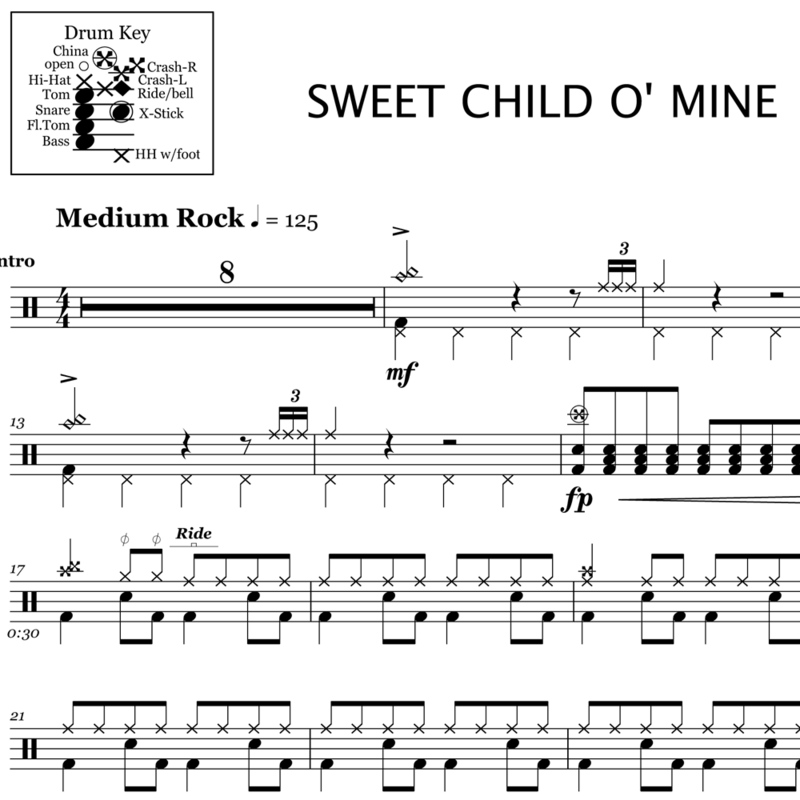 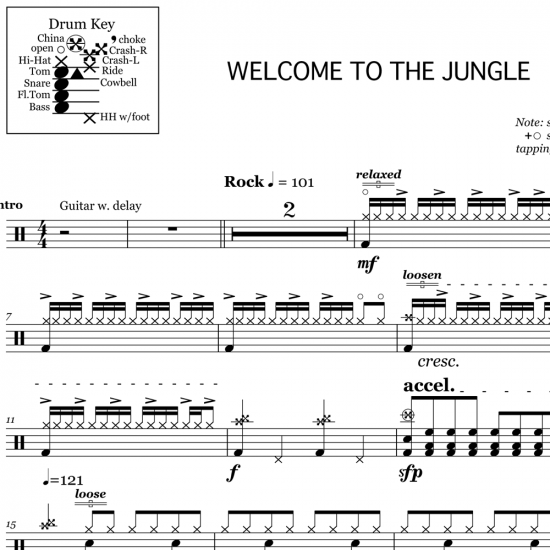 Featuring a rockin’ variety of drum fills, grooves and changes throughout, this is an exciting drum track to play. 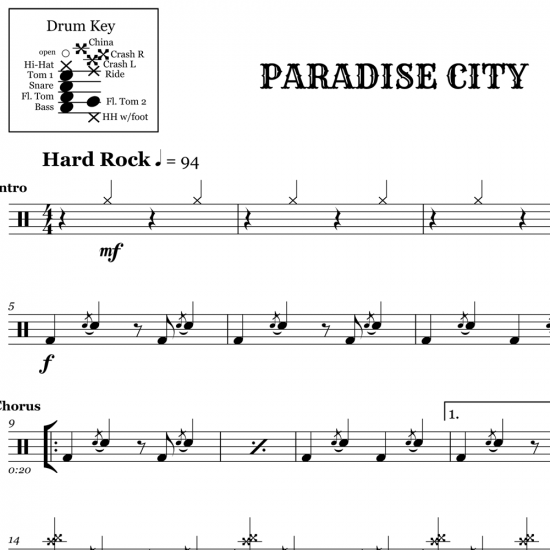 Be sure to heavily accent the quarter-note pulse on the hi-hat throughout to drive the 1, 2, 3, 4.